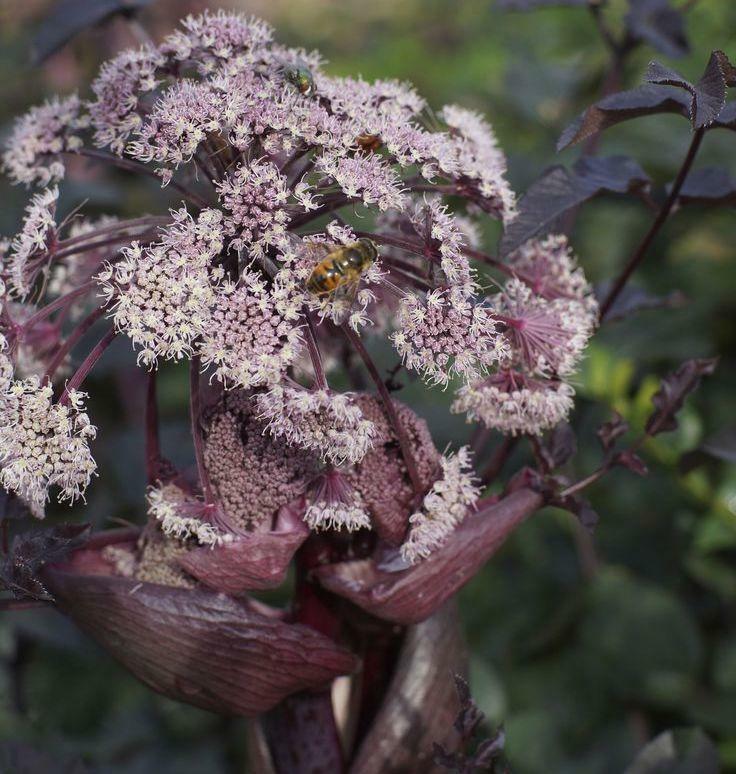 Angelica sylvestris 'Vicar's Mead' is a lovely purple leaved variety of the wild herb Angelica. 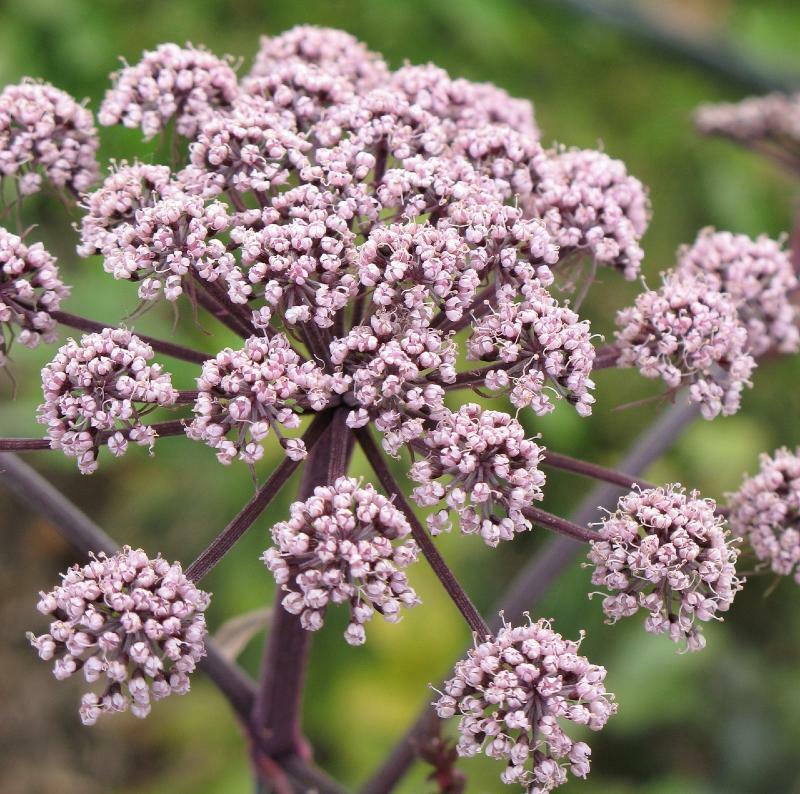 Rich, deep purple foliage and large pink tinged flowers which turn to white upon maturity. Flowers from June to September. 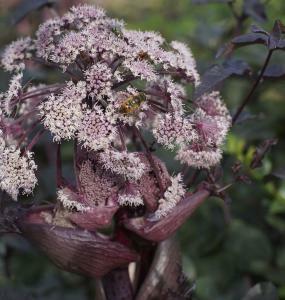 Lovely specimen for a natural/wildlife area of the garden or a group planting in a mixed perennial border. Hardy perennial. Easy to grow. Prefers partial shade in a well drained soil. Height 1m.